The book that has come down to us under the title Dialectics of Naure is strictly speaking not a book but an edited version of four folders containing miscellaneous notes and jottings left unfinished by their author, Frederick Engles. The material was never published in Engles's life time although parts of it were published in1896 and 1898 posthumously. The full text of the manuscripts was first published in the the USSR in 1925 alongside a Russian translation. Later editions and translations mostly follow the text and arrangement of the folders made in the 1941 Russian edition. Neither Marx nor Lenin had seen the drafts that Engels had been preparing for a long time. 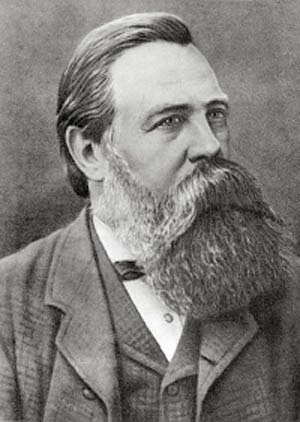 Yet Dialectics of Nature is Engels’s most significant contribution to the extension of the area of dialectics to the natural sciences.1 Marx had encouraged Engels to take up this work in right earnest and Engels felt it incumbent upon him to establish dialectics in the domain of nature as in the world of man. In spite of many errors and shortcomings in the work, nuggets of wisdom as well as pregnant hypotheses make the work more valuable as a quarry of ideas rather than a finished formulation to be treated as the outcome of detailed research and analysis. Everything was in the draft stage. Engels certainly would not have published the draft without drastic revision. ‘In the essay on “Tidal Friction,” Engels made a serious mistake, or more accurately a mistake which would have been serious had he published it. But I very much doubt whether he would have done so. … I have little doubt that either he or one of his scientific friends such as Schorlemmer would have detected the mistake in the essay on “Tidal friction.” But even as a mistake it is interesting, because it is one of the mistakes which lead to a correct result…. Such mistakes have been extremely fruitful in the history of science. Elsewhere there are statements which are certainly untrue, for example, in the sections on stars and Protozoa. But here Engels cannot be blamed for following some of the best astronomers and zoologists of his day. The technical improvement of the telescope and microscope has of course led to great increases in our knowledge here in the last sixty years’ (xi). In spite of all this, Haldane frankly admitted: ‘Had his (sc. Engels’s) remarks on Darwinism been generally known, I for one would have been saved a certain amount of muddled thinking’ (xiv). Hence, what Sebastiano Timpanaro said about Lenin’s Materialism and Empirio-criticism – ‘the value of which is no way affected by the ten or fifty errors in physics which can be found in it’ (42) – also applies to Dialectics of Nature.2 In what follows we propose to take up an observation made by Engels in connection with dialectical thought. ‘We have in common with animals all activity of the understanding: induction, deduction, and hence also abstraction (Dido’s generic concepts: quadrupeds and bipeds), analysis of unknown objects (even the cracking of a nut is a beginning of analysis), synthesis (in animal tricks), and, as the union of both, experiment (in the case of new obstacles and unfamiliar situations). In their nature all these modes of procedure – hence all means of scientific investigation that ordinary logic recognizes – are absolutely the same in men and the higher animals’ (223). Engels was not so naïve as to believe that no distinction is to be made between human beings and other animals. He pointed out that even in the case of understanding there was always a difference in degree. Yet, he insisted, ‘The basic features of the method are the same and lead to the same results in man and animals so long as both operate or make shift merely with these elementary methods’ (223). Neither the German nor the English edition of Marx-Engels’s Works throws any light on this passage. Engels definitely could not have learnt much about the Buddhists or the Buddhist philosophy in the second half of the nineteenth century. Buddhism was still an area confined to the specialists only. Although he was a voracious reader and a polymath, his range of study, howsoever wide it might have been, could not have included the Tripitaka, the whole of which had not yet been translated into any of the languages that Engels knew well or at least could read (he is credited to have been acquainted with almost all the major European languages, but not any Asian one). At best he might have read some secondary work on Buddhist philosophy. Or he might have had some discussion with Carl (Karl) Friedrich Koeppen (1808-63), a Young Hegelian and a friend of both Marx and Engels in their early days. Koeppen, who dedicated his book on Frederick the Great to Marx in 1840, was later recognized as a specialist in Buddhist religion. When Marx visited Berlin in 1861, he was happy to meet his old friend again and Koeppen presented him with his two-volume work, Die Religion des Buddha und ihre Entstehung (The Religion of the Buddha and its Origin), originally published in 1857 and 1859 (McLellan, 291). Whether Marx ever cared to browse the bulky tomes is not known. ‘Great historical turning-points have been accompanied by religious changes only so far as the three world religions which have existed up to the present – Buddhism, Christianity and Islam – are concerned…. Only with these world religions, arisen more or less artificially, particularly Christianity and Islam do we find that the more general historical movements acquire a religious imprint’ (Engels, Feuerbach, 239-40. Italics in the original). ‘In contrast, Indian religious philosophy (sc. Buddhism) was welcomed in Japan and China without the force of Indian arms, even though almost no Indians ever visited or traded with those lands. Indonesia, Viet Nam, Thailand, Burma, Ceylon certainly owe a great deal of their cultural history to Indian influence without Indian occupation’ (Kosambi (1972) 9). What is probable is that in course of his study and discussion Engels came to know about the Buddhist doctrine of Interdependent Origination or Discontinuous Continuity (paticca-samuppada in Pali, pratitya-samutpada in Sanskrit), a fundamental concept enunciated by the Buddha in his sermons. This, like the other fundamental doctrine of Four Aryan or Noble Truths or Facts (cattari ariya saccani in Pali, catvari arya satyani in Sanskrit), constitutes the highest achievement of Buddhist thought. The enlightenment of Gautama the Buddha begins with the realization of the four-fold nature of everything on earth, beginning with Suffering, Cause of suffering, Cessation of suffering, and the Way to the cessation of suffering (‘Dhamma-cakka-pavattana Sutta’, The Setting in motion of the Wheel of the Law, in the Samyutta Nikaya (5. Mahavagga, 361 ff). This indeed is a brilliant formulation of the basic principles of dialectics. We may here recall an incident in Lenin’s life when he was living in exile in Switzerland. While reading Ferdinand Lassalle’s book on Heraclitus (? - after 480 BCE) he was apparently thrilled to come across a formulation made by this Presocratic philosopher. In his Notebook Lenin wrote down the literal translation of the fragment: ‘The world, an entity out of everything, was created by none of the gods or men, but was, is and will be eternally living fire, regularly becoming ignited and regularly becoming extinguished.’ Under this quotation Lenin added his own observation: ‘A very good exposition of the principles of dialectical materialism.’ (Lenin (1961) 349). I venture to propose that Engels might have had come across a statement that occurs again and again in the Buddha’s sermons: ‘That being thus, this comes to be; from the coming to be of that, this arises. That being absent, this does not happen; from the cessation of that, this ceases.’ (‘Natumhasuttam’, Samyukta Nikaya (2. Nidanavagga 12.37), 55; the translation is quoted from The Book of Kindred Sayings, 2:45). T. W. Rhys Davids observes: ‘It is on all fours with the modern formulation of the law of causation – “That every event is the result or sequel of some previous event, or events, without which it could not have happened, and which, being present, it must take place.”’ (Rhys Davids (1977) 42; this formulation is to be found in several Suttas in the Samyukta Nikaya (3. Mahavagga) 361 ff). ‘Had the Fates been kinder to the writings of the Atomist of Abdera [sc. Democritus], had the “teleological reaction” not been led by two men of such extra ordinary genius as Plato and Aristotle, it is conceivable that the whole philosophy, not to say the Dhamma, of the West, might have flowed along a channel in which the influence of the micros and megas dia kosmos might have brought both that philosophy and that Dhamma more nearly parallel to the informing principle of the Paticca-samuppada. As it happens, Europe learned from Athens compromise and comprehensiveness, learned to believe in a universe governed partly by necessity and partly by chance, learned to combine belief in unchanging natural law with belief in first and final causes’ (Rhys Davids (1977) 47). ‘Matter (rupa) was conceived on the same pattern, as a flow of momentary flashes without any continuant stuff, but characterized by impenetrability and representing the senses… and sense-data…. The world was thus transformed into a cinema…. Causation was called dependently-coordinated-origination (pratitya-sam-utpada) or dependent existence. The meaning of it was that every momentary entity sprang into existence, or flashed up, in coordination with other moments. Its formula was “if there is this, there appears that”. Causality was thus assumed to exist between moments only, the appearance of every moment being coordinated with the appearance of a number of other moments. Strictly speaking it was no causality at all, no question of one thing producing the other’ (Stcherbatsky (1927) 40. Italics in the original). Stcherbatsy therefore preferred to render pratitya-samutpada as ‘Discontinuous Continuity’. ‘The second formula, the Concatenation of causes and effects, the twelvefold Pratityasamutpada or causal production, otherwise termed “the 12 Nidanas” (causes) is intended to lay bare the root of evil, and stands to the 4 Satyas in the same relation as Pathology (Nidana or Nidana-sastra), to the whole system of medical science.’ (Kern 47). Thus the Four Noble Truths (or Facts) and Interdependent Origination form a thought complex that comprehends not only the case of Suffering and its cessation but also that of all phenomena in the universe. This is the epigram that Assaji (Asvajit), a novice in the Buddha’s Order, is said to have recited to Sariputta, and Sariputta in his turn recited to Moggallana. Both of them were intelligent enough to grasp the essence of the teaching: ’That whatever is subject to origination is subject also to cessation.’ (Warren 89) They were then followers of Sanjaya Belatthaputta, one of the fifty two itinerant monks of the Buddha’s times, who used to roam all over north India with a large number of disciples. But on hearing this brief and succinct exposition of the Buddha’s doctrine, Sariputta and Moggallana decided to leave Sanjaya’s Order and join the Buddha’s. ‘Millions of years may elapse, hundreds of thousands of generations be born and die, but inexorably the time will come when the declining warmth of the sun will no longer suffice to melt the ice thrusting itself forward from the poles; when the human race, crowding more and more about the equator, will finally no longer find even there enough heat for life; when gradually even the last trace of organic life will vanish; and the earth, an extinct frozen globe like the moon, will circle in deepest darkness and in an ever narrower orbit about the equally extinct sun, and at last fall into it’ (Engels (1968) 35- 36). ‘Historical evolution makes such an organization daily more indispensable, but also with everyday more possible. From it will date a new epoch of history, in which mankind itself, and with mankind all branches of its activity, and particularly natural science, will experience an advance that will put everything preceding it in the deepest shade’ (Engels (1968) 35). In view of all this, it may justly be claimed that Engels had read or heard about the Buddhist doctrine of flux and mentioned it rather vaguely in his draft of Dialectics of Nature. 1Whether or not such an extension is valid has been hotly debated by later Marxists such as Georg Lukacs. However, we need not address the issue here as it would make us digress into a totally different area, not relevant to the subject under discussion. 3The arrangement of the draft paragraphs in earlier editions of Dialectics of Nature seems to have been different from the edition I have used (Moscow 1968). In the first English translation published from London by Lawrence and Wishart (1946, first printed in 1940) based on Vladimir Adoratsky’s edition of 1935 (which, J.B.S. Haldane says, was ‘more satisfactory’ than the editio princeps brought out by David Riazanov in 1927) this section (‘Understanding and reason’) is placed in chapter VII, pp.203-04 instead of the section entitled [NOTES AND FRAGMENTS] in the later Moscow edition. 4The book by Koeppen is now available in internet. The first volume has also been reprinted by BiblioBazaar in 2010 and the second by Nabu Press in 2012, both from Charleston, South Carolina, USA. A selection of Koeppen’s other writings have been edited by Heinz Pepperle and published in two volumes by Akademie Verlag, Berlin in 2003. 5In a light-hearted vein Marx writes, ‘… keeping my mind in that state of nothingness which Buddhism considers the climax of human bliss.’ Marx-Engels Collected Works 42: 241. The source must have been Hegel, who in his lectures on the philosophy of history, said: ‘It is contained in the fundamental dogma, that Nothingness is the principle of all things – all proceeded from and returns to Nothingness’ (168). Nothingness, however, is related only to one of the four later principal philosophical schools of Buddhism, namely, Madhyamaka (Madhyamika), as formulated by its founder, Nagarjuna (c. 150 CE). For further details, see Ling 126, 147. However, unlike the Four Noble Truths and the doctrine of Interdependent Origination or the Eight-fold Path or the Middle Way, the doctrine of Nothingness (also translated as Emptiness and Void), sunyavada is not a basic tenet that all Buddhists admit. 6The words quoted within double quotation marks are taken from F.A. Lange’s History of Materialism (1866, 1873-75. English trans. 1877-81), vol. I, ch.1. 7For further details see Ramkrishna Bhattacharya (2003) 21 n7. 9For a more detailed discussion of negation and the Hegelian concept of the negation of negation (which involves both negation and sublation), see Ramkrishna Bhattacharya 2009. 10The sentence is quoted from Faust, Part I [Scene 3], Study, lines 1339-40. Sebastiano Timpanaro (1975, 98) has called this a ‘maxim so dear to him (sc. Engels)’. 11It may be said in passing that Lenin too was fond of quoting from Faust , ‘Gray, my dear fellow, is all theorizing, /And green, life’s golden tree.’ (Part 1, Scene 3, lines 2038-39). See Lenin. Collected Works, 24:45. This too is spoken by Mephistopheles, disguised as Faust, to a student. 12The story of the conversion of Sariputta and Moggallaana is also found in the Buddhist Sanskrit work, Mahavastu Avadana, III.12. Assaji here is called Upasena (81). Bhattacharya, Ramkrishna. ‘Basham, Kosambi, and the Negation of Negation’, Psyche and Society (Kolkata), 7:2, December 2009, 71-75. Bhattacharya, Ramkrishna. ‘Science and Philosophy in Early Buddhism’, Anviksa (Jadavpur), vol.24, 2003, 13-22. Book of Kindred Sayings, The. Part 2. London: Pali Text Society, 1922. Engels, Frederick. Dialectics of Nature (1940). London: Lawrence and Wishart, 1946. Engels, Frederick. Dialectics of Nature. Moscow: Progress Publishers, 1968. Engels, Frederick. Ludwig Feuerbach and the End of Classical German Philosophy in: K. Marx and F. Engels. On Religion. Moscow: Foreign Languages Publishing House, n.d.
Ganguli, Hemanta. ‘A Philosophy of Human Emancipation’, Anviksa (Jadavpur), vol.24, 2003, 1-12. Goethe. Faust. Trans. Walter Arndt. New York: W. W. Norton & Company, 1976. Hegel, G.W.F. The Philosophy of History. New York: Dover Publictions, n.d.
Kern, H. Manual of Indian Buddhism. Strassburg: Verlag von Karl J. Truebner, 1896. Kosambi, D. D. Culture and Civilisation of Ancient India in Historical Outline (1965). Delhi: Vikas Publishing House, 1972. Kosambi, D. D. An Introduction to the Study of Indian History (1956). Bombay: Popular Prakashan, 1975. Lenin, V. I. Collected Works, Vol. 38 (Philosophical Notebooks). Moscow: Foreign Languages Publishing House, 1961. Lenin, V. I. Collected Works. Vol. 24. Moscow: Progress Publishers, 1964. Ling, Trevor. A Dictionary of Buddhism: Indian and South-East Asian. Calcutta: K P Bagchi & Co., 1981. Mahavastu Avadana. Ed. Radhagobinda Basak. Vol. 3. Calcutta: Sanskrit College, 1968. Marx, K. and F. Engels. Collected Works. Vol. 42. Moscow: Progress Publishers 1987. McLellan, David. Karl Marx: A Biography. London: Papermac, 1995. Rhys Davids, T. W. and C. A. F. Dialogues of the Buddha, Part II (The Sacred Books of the Buddhists, Vol.III). London: The Pali Text Society, 1977 (reprint). Samyukta Nikaya (3. Mahavagga), ed. J. Kashyap, Patna: Pali Publication Board, 1959. Stcherbatsky, Th. The Conception of Buddhist Nirvana (1927). Varanasi: Bharatiya Vidya Prakashan, n.d.
Timpanaro, Sebastiano. On Materialism. London: Verso, 1975. Warren, Henry Clarke. Buddhism in Translations (1896). Delhi: Motilal Banarsidass, 1987. 1. Engel's materialist interpretation of the dialectics-which may crudely be described as the movement of reason of through history-bear striking resemblance to a certain notion of causality in buddhism, that is, everything which has a cause(hetu) must also eventually face it cessation(nirodha). 2. Rhys Davids and Stcherbatsky seem to differ on what constitutes the notion of pratiyattasamudpada in buddhism; which of the two interpretations is more feasible? In Rhys David, is the notion of causality in buddhism one of necessary causality or accidentantal causality? Again, in stcharbatsky, the idea that causality is not distinctly divisible into cause and effect, but is something that happens between moments, renders it similiar to bergsonian concept of the 'duree'....please elaborate on the concept of pratiyatta sama utpada further.